So... you blog? Umm yeah. Well, what's that all about? Well I write about life and things I care about. [etc. etc. etc.] Well why? When did that start? Why is it always a little weird when you actually find out that people you know know that you have a blog? It's not like I have anything to hide. If anything, when it comes to most topics I'm an open book right here on my own little piece of blogland. It's just so hard to explain how great blogging is to non-bloggers sometimes. Anyone else with me on this one? Regardless, I love blogging and am so glad I made the decision to start. Today I'm linking up with Samantha and Neely to share why I started blogging in the first place. Let's talk about the deets. When? I started blogging last September - read my first post here. Gosh, that's sort of embarassing. I started because I thought it might be a fun way for people to keep up with our lives once my husband and I moved. I wrote a couple posts, we moved to a new city, life got crazy as my hubs and I tried to move in and fit into a new place, and my blog took a small hiatus. In March, once I felt much more in control of life in general, I got started again and here I am, yours truly. How? A fellow type-A friend of mine told me she started reading a blog and loved it (IHeart Organizing - I fell in love with it right away, too.) I started reading and the domino effect happened from there. You know what I mean - you go to one blog, find another blog, and another and another and another until you realize it's 2:00 am and all you have to show for yourself from the past 6 hours is quite a few comments. Why? 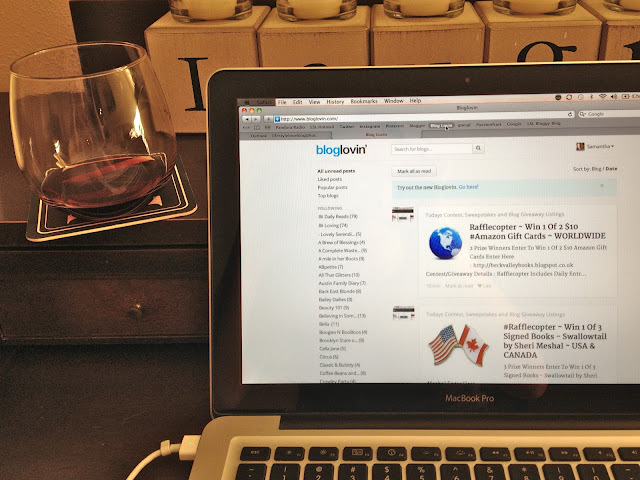 The reasons why I blog have grown to be so much more than for people to keep in touch with our lives post-move. Here it is, short and sweet. The top 3 reasons why I blog: 1 // I feel inspired, in so many different ways and aspects of life. 2 // I have met cool, new people and look forward to forming great relationships and meeting many more. 3 // Writing can be therapeutic. If you have a blog, you get this. If you've ever had a journal at any point in your life, you get this. There is something to be said for putting thoughts, ideas, or feelings down on paper (or virtual 'paper'). It can work wonders for the mind and soul. Yes, I blog. Because the way I see it, we all have a blog simply because life should be shared. It's too beautiful a gift to keep to ourselves. Share your interests. Love your passions. Celebrate your life. 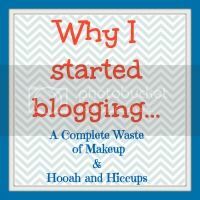 Why did YOU start blogging? I can't wait to read other people's stories! "Life should be shared" - that is exactly what I love about blogging. I heart organizing was one of my original inspirations too! I love that friends from all over can keep up with me, but it seems that people I don't "know" are the ones mostly reading! So funny about people you know in real life knowing about your blog...my blog is not shared with friends or family. Thanks for sharing your blogging story! IHeart Organizing was the first blog I found, too! I actually started my blog based on crafts/DIY, etc. because those were the only types of blogs I knew existed. When I found lifestyle blogs, I was so excited, because I'm so not made for all those crafts and such! I'd much rather write. :) It was forever before I told anyone about my blog though! I agree with all your reasons. You are a great girl! Totally with you! I started blogging because I read but never commented, so I decided to start my own and start commenting when I was in a really transitional time in my life. So glad you blog! I love your blog!